The family home can be a keepsake for adult children. When parents are gone, one child may want to purchase the family home from the estate for sentimental reasons. That’s generally not a problem, but there is one scenario that can get sticky. That’s when the buyer is also the executor of the estate. Probate is the legal process of dispersing a person’s assets and paying creditors after death. Selling a house through probate is like any other real estate transaction, with one big exception: The court oversees the process. In some cases, the court may give the executor discretion to make some or all decisions. The sale generally involves the court, executor, estate’s attorney and real estate agent along with potential buyers and their agents. Each person is required to observe the court’s guidelines throughout the process. Deadlines are firm and documentation is specialized. Property ends up in a probate sale for a number of reasons. The will may instruct an executor to sell the house. Perhaps the homeowner died without heirs. If heirs are present and they are also surviving children of the deceased, they may want to sell the property and divide the proceeds rather than split the house. Another scenario involves one child who wants to buy out his siblings. Finally, it may be necessary to sell the property to pay the estate’s debts. The probate sales process can be a traditional real estate transaction, but with court oversight and no contract contingencies. The executor must get an appraisal to determine the fair market value of the property and list it with a real estate broker. Heirs should be told of any offers. If no heir objects, the sale can usually proceed without a court hearing. If an heir challenges the deal, the court must decide whether the reason is legally valid. If so, the objection can kill the deal. If not, the sale closes. 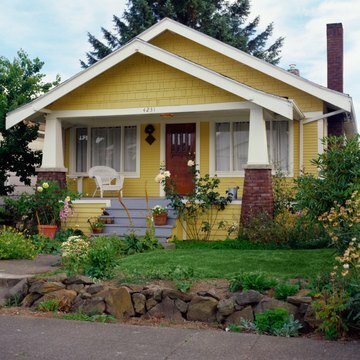 Probate property can also be sold at auction. The executor must advertise the house and date of the auction. The top bidder wins a court hearing to seal the deal, but the buyer must match any late counterbid. Just because a bid has been accepted doesn't mean another buyer can't come in with more money before the court process ends and the sale is closed. State laws governing probate expect the executor of an estate to be diligent and impartial. The executor owes a legal duty to anyone with an interest in the estate and cannot favor one person or himself over others. If a child wants to buy the family home, he should decline to be the executor. If that’s not feasible, the heirs and court must be on board with the sale before beginning the purchase process. If not, the executor could violate his fiduciary obligations and create a conflict of interest. Stephanie Konarski: You Are an Executor, So Now What?